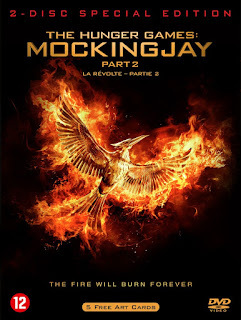 With The Hunger Games: Mockingjay - Part 2 landing on Digital HD services in the United States on Tuesday, the next big date is of course the week commencing March 21, which is when the Blu-ray and DVD releases of the film and the Complete Collection begin rolling out across the world. 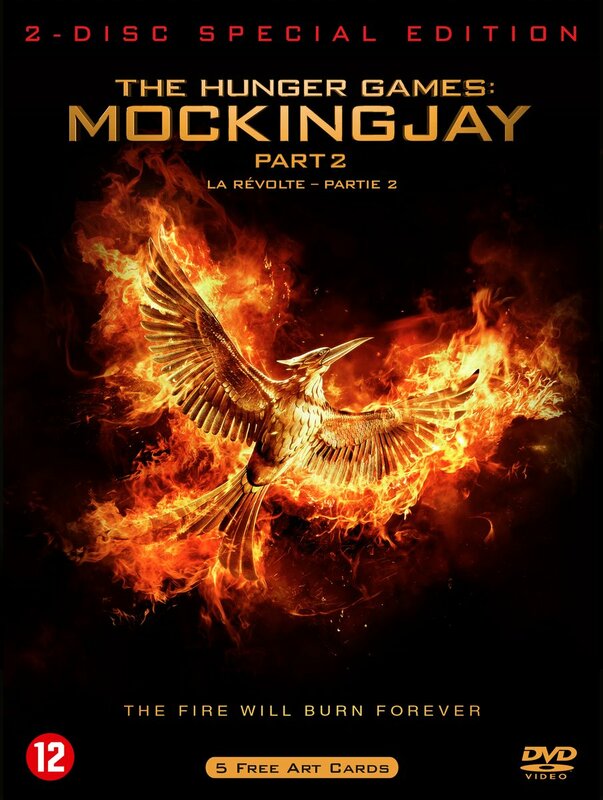 Unfortunately for fans though, due to Lionsgate's international distribution model, the releases on different formats in different regions are highly fragmented - each country's local distributor decides for themselves which bonus features to include or not include in which formats of the film. Lionsgate just provide the content to these distributors, but it's down to the distributors to not only decide on the content, but on the packaging and designs as well. 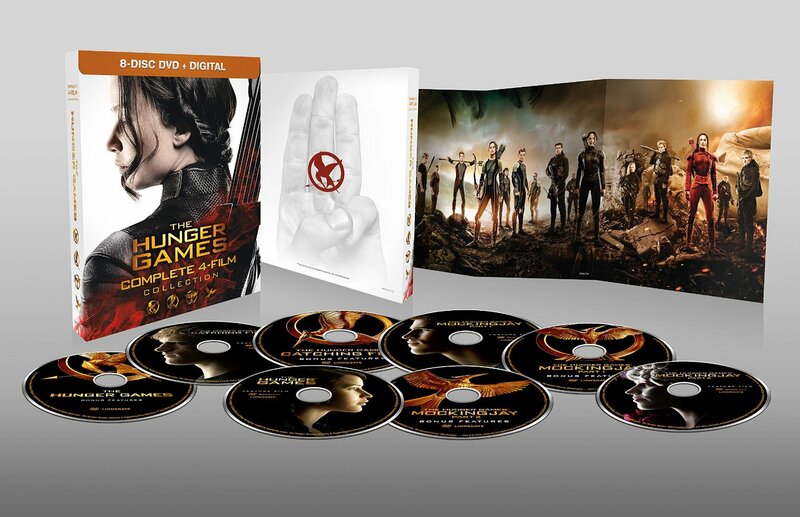 That's also why in different countries you get different artworks, or elaborate packaging for the discs and box sets. Not to mention, unlike other studios, due to this model Lionsgate's Blu-ray releases are region-locked to the region of purchase - you can't unfortunately just order the American copies without having a region-free player, Blu-ray or DVD, to play them back. You've probably seen the sheer number of different editions released across the world in various formats. Which is why we've decided to help you all out with this buying guide, if you're yet to make a decision, on what edition of the film or the collection is the best, with the most complete extras and more, to order - depending on territory, format and whether or not you already own the previous films. So now the explanation as to why is out of the way, here goes...! N.B. This guide assumes that English audio will be enough - if you require your local language audio, we're afraid whatever editions that are available in your country will have to make do. It's a tough one. The 6-disc Complete Collection includes 12 brand-new deleted & extended scenes from The Hunger Games and one from Catching Fire and two new featurettes 'Picturing Panem' and Capitol Cuisine exclusive to the set, as well as all the previously released initial Blu-ray and additional retailer exclusive extras for each film - with the exception of the Mockingjay - Part 2 Target exclusive content. But on the other hand, you might likely want the Target content for MJ2. Given we're weighing up 45 minutes of content that looks to be just expanded parts of the big behind-the-scenes documentary and actual new deleted scenes from the first two film, and that there's also the off-chance that you might not have all of the retailer exclusives for the previous films - the 6-disc collection is our pick. TO THINK ABOUT: Pick up the Target edition of MJ2 as well for that extra 45 minutes and just sell your old discs & the MJ2 Blu-ray from the Target set - this way you have the most complete set. 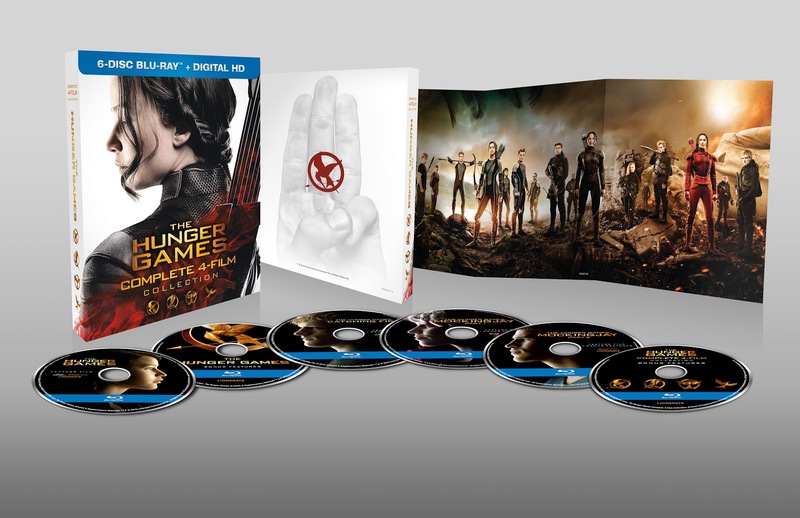 It's simple - the 6-disc set is the most complete set - the only thing you are missing are the Mockingjay Part 2 Target extras. Which as we mentioned, you can also buy, and then just selling the 2nd extra MJ2 Blu-ray that you get. 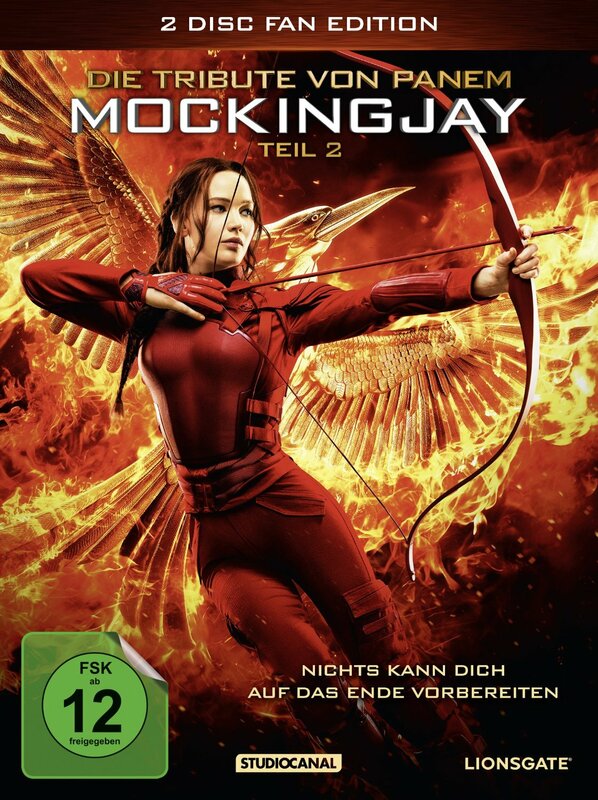 The main reason why this is the best option - you get the behind-the-scenes documentaries for each film for the first time on DVD - they weren't included in the individual DVD releases of each film, same case with Mockingjay - Part 2 too. And you get the 13 new deleted scenes and 2 featurettes as well. But again - doesn't include the MJ2 Target extras. Simply put - this is as complete as it gets. TO THINK ABOUT: The bonus 45 minutes on the Target edition of MJ2 are in fact on a bonus DVD as opposed to Blu-ray. 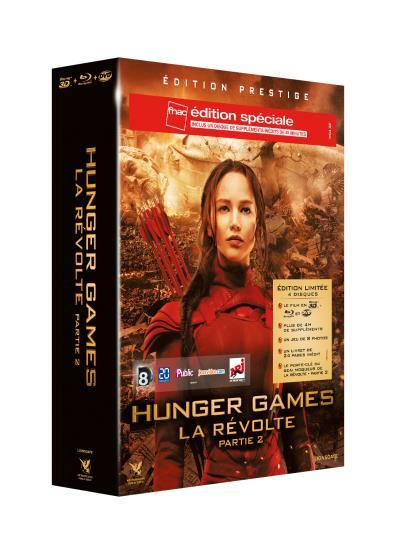 This set not only has Mockingjay - Part 2 on Blu-ray 3D, as well as Blu-ray and DVD; it has the exclusive bonus features from Target (if you buy from Fnac) and most importantly - the 4-film complete collection deleted scenes & featurettes. This is the only release of MJ2 that includes these extras which would normally be exclusive to the 4-film collections. 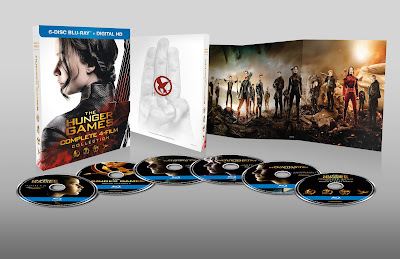 TO THINK ABOUT: If you don't require the Target bonus features, you can order this set without them from Amazon France if that's more convenient than Fnac. This is as complete as it gets - as it not only has everything the US set does including these deleted scenes, but also it one-ups the US set by having the Target-exclusive extras for MJ2. Simply put - this is the one to go for. TO THINK ABOUT: if you are okay with your German, or a 3D fan - the German Complete Collection has everything too - just that the Complete Collection-exclusive extras (the new deleted scenes and two featurettes) are online access as opposed to on disc. 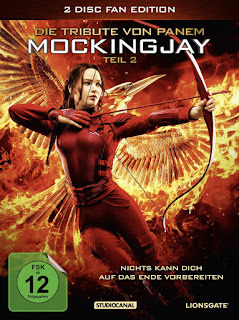 The packaging is the best out of all Complete Collections - it comes with a 100-page collectible book (in German, unfortunately) featuring stills, poster art and more, and this is the only release with Mockingjay - Part 1, as well as Part 2, on Blu-ray 3D. TO THINK ABOUT: see the 4-film Complete Collection below - consider it if you're really after those new HG+CF deleted scenes. This, much like the 8-disc Blu-ray set described above, is truly as complete as it gets - content-wise it has everything from all 4 films. And those new deleted scenes. 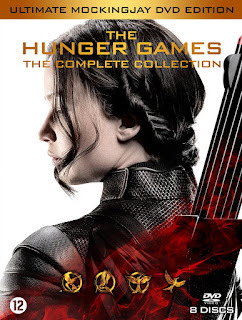 Editions have been announced - we are assuming the Mockingjay - Part 2 DVD/Blu-ray/Blu-ray 3D release is modeled after the UK release when it comes to bonus features. No news on whether the Target bonus features or the new Complete Collection content will make it over there. Unfortunately no details on the editions available have been made yet, but if previous years are to go by there should be two-disc DVD sets offered so you can get that MJ2 BTS documentary on DVD. Afraid we can't say the odds on the Target extras, and those new deleted scenes & featurettes from the Complete Collection. Best thing you can do is contact your country's distributor to convince them to include these - it's down to them, not Lionsgate themselves. Unfortunately a similar case here, no info so far available, at the very least it should be similar to the standard releases in the US and the UK - with the DVD including some extras and the Blu-ray having the big BTS documentary. UPDATE: information on the Philippines editions has been released, revealing that the Target extras will be included on the 2-disc DVD edition of the film which includes the BTS documentary. Even lower odds on the Complete Collection deleted scenes & featurettes - but again, ask your local distributor. That being said - if you have a Blu-ray player, the Japanese Premium Edition is worth checking out. Hope this helps in making your decision of what to order, and be sure to let us know here in the comments or on Twitter if you have any questions!